Halloween just got a whole lot spookier at the HUB. 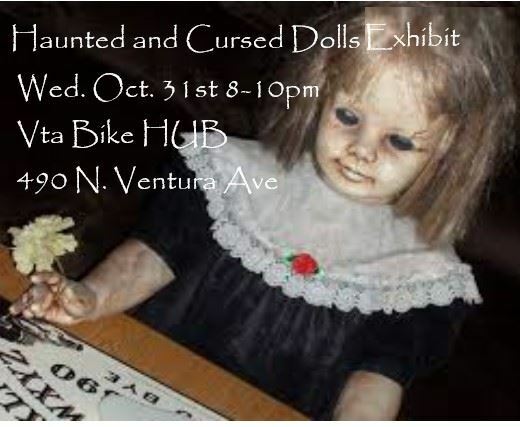 Come see an exhibition of Haunted and Cursed dolls. Come learn the stories and histories of these dolls with Paranormal expert Richard Carradine of GHOULA and author of The Park after Dark and Spirits with Spirits. Admission is free, come if you dare!